It is that time of year where people look back at their blog post traffic. It was a busy travel year in 2018. By the end of year, we had published 445 blog posts. 88 of them were new in 2018. 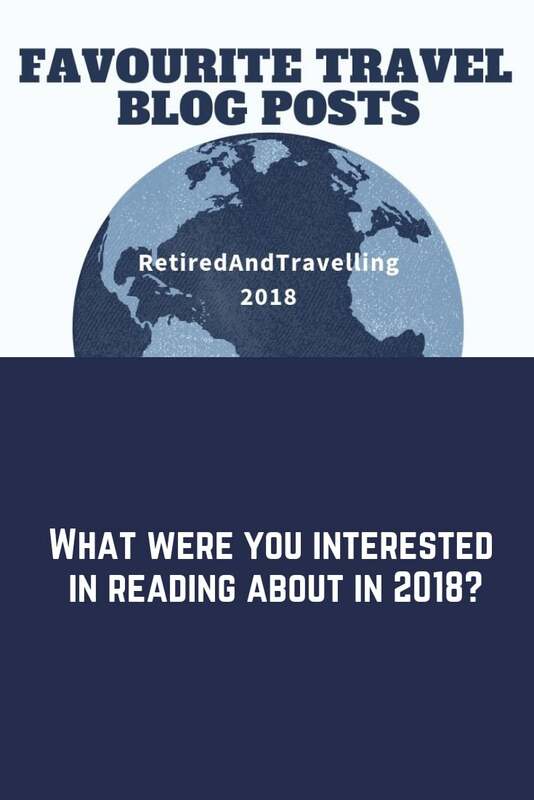 We were excited to see what our readers felt were their favourite travel blog posts for RetiredAndTravelling in 2018. We look at blog post traffic monthly. It is always interesting to see what topics people are searching for. And how well the more recent blogs posts are doing. While we do start by looking at total page views, we are also as concerned with quality hits. Do people hit the page and bounce back out? Or do they stay around and read to the bottom of a post (time on page)? Once they are on the site, do they hit the internal links or search around the site for other posts of interest (% exit). 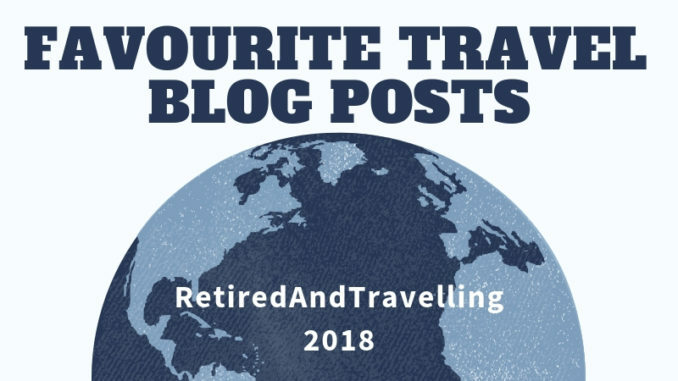 This year when we pulled the annual stats, we were delighted to find that the favourite travel blog posts for RetiredAndTravelling had high page views. But the stats also showed that people were both reading the posts. And using those posts to then go to other content. We could not ask for more! So what content did our readers want in 2018? The favourite blog post almost every month, in 2018 and over the 5 years we have published the blog was the blog about our road trip from Toronto to Vancouver through the U.S.. We had several stops along the way. And it was the beginning of a four month stay in Vancouver. It was interesting to see that the winter road trip back drew decent traffic. But seemed to be less of interest. Maybe because we did much of that drive straight through to just avoid the snow. We were delighted to see that some blog posts have very long shelf life. They come up over and over again in search results. And people read the favourite travel blog posts end to end. 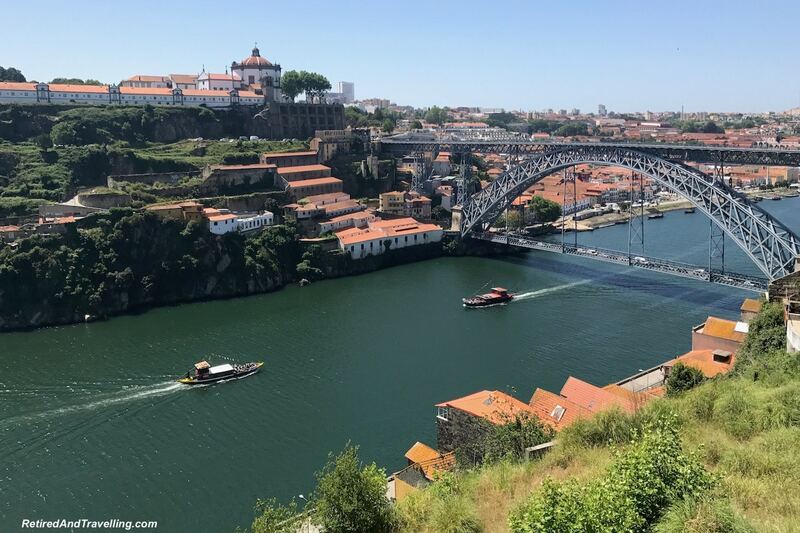 Some of the top travel blog posts you looked at in 2018 were all about Portugal. Mainland Portugal was a draw. Whether it was staying in Lisbon, enjoying Porto or driving along the Douro River to enjoy the Douro River Valley wineries. 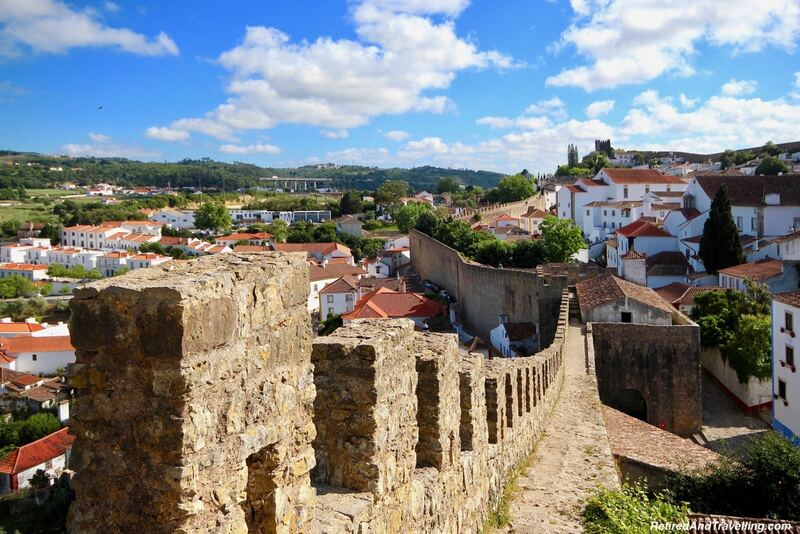 The fun we had walking the top of the walls in Obidos drew lots of readers. 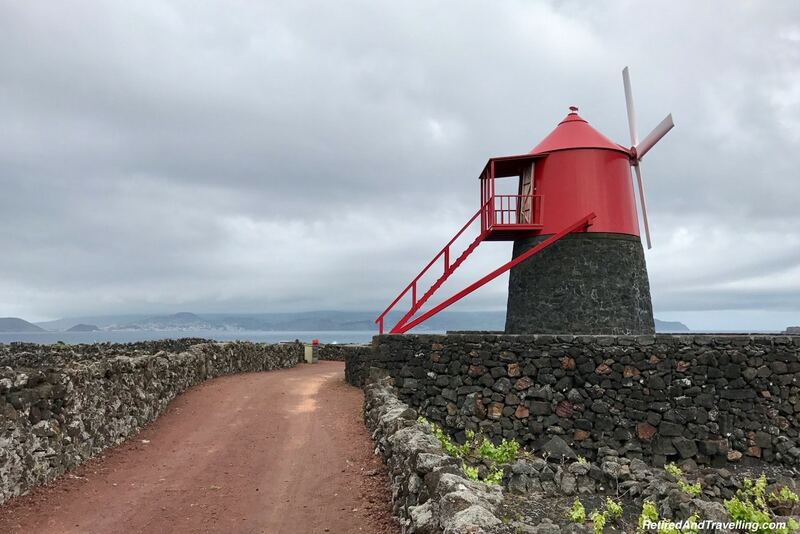 But the blog posts on the Azores sat at the top of the list of favourite travel blog posts for RetiredAndTravelling in 2018. 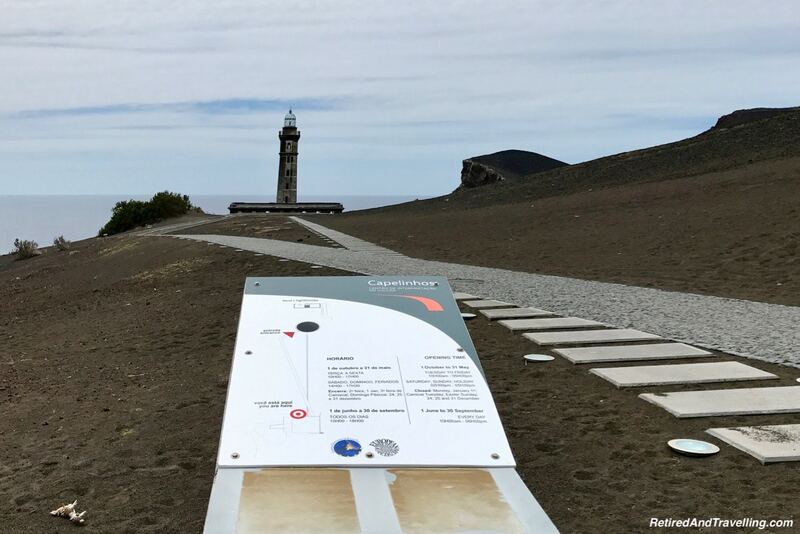 The blog posts detailed our exploration of Sao Miguel Island, stay on Faial Island and day trip to Pico Island. People really wanted to read about the Azores! While Portugal certainly topped the list of places you were interested in, we continued to get a lot of interest in blog posts on Italy. Portugal was one of our all time favourite travel destinations. The Azores were magical and we will definitely return. 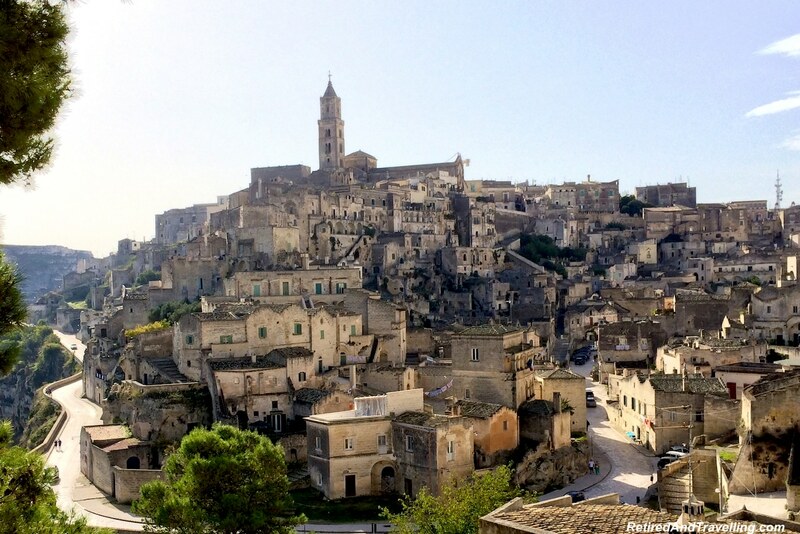 So we were so happy to see that these were some of your favourite travel blog posts too. We have never really done a detailed study to see if there are seasonal trends for topics on the blog. 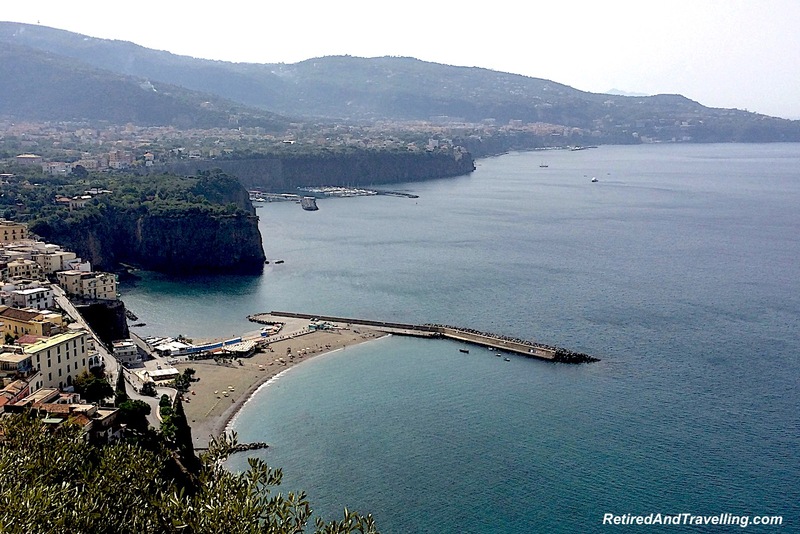 But every year we find that our blog posts on travel to warmer climates do well. On our travels in 2018, we managed to escape south a number of times. 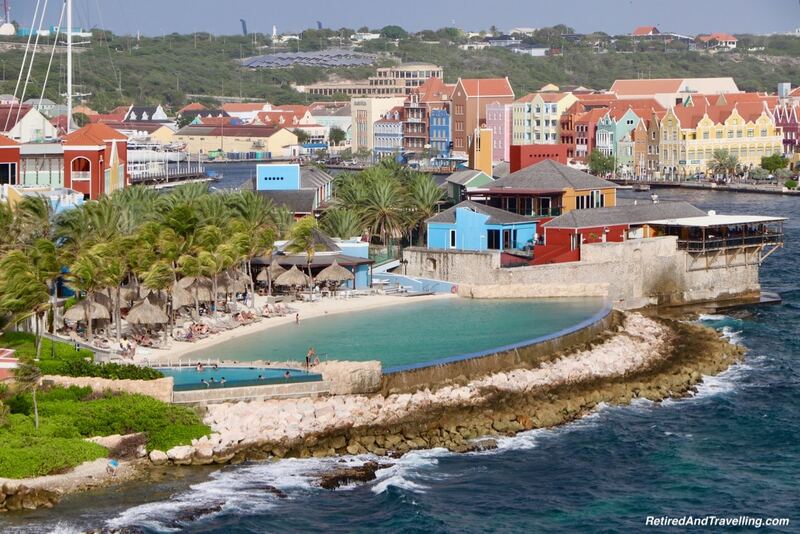 Blog posts on cruising in the southern Caribbean and the ABC Islands had some of the highest page hits. But our older blog post on the Eastern Caribbean continued to draw good numbers. People were very interested in our snorkelling and scuba diving experiences. 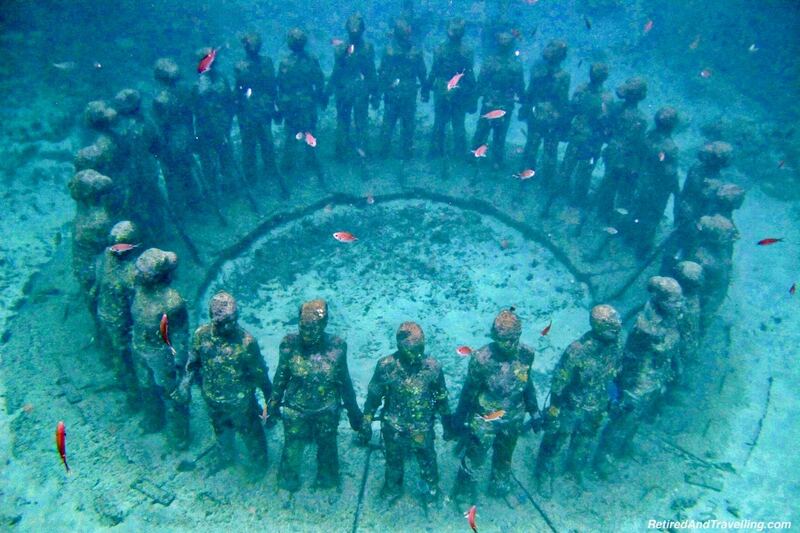 In 2018 we loved the chance to snorkel on the underwater statues in Granada. 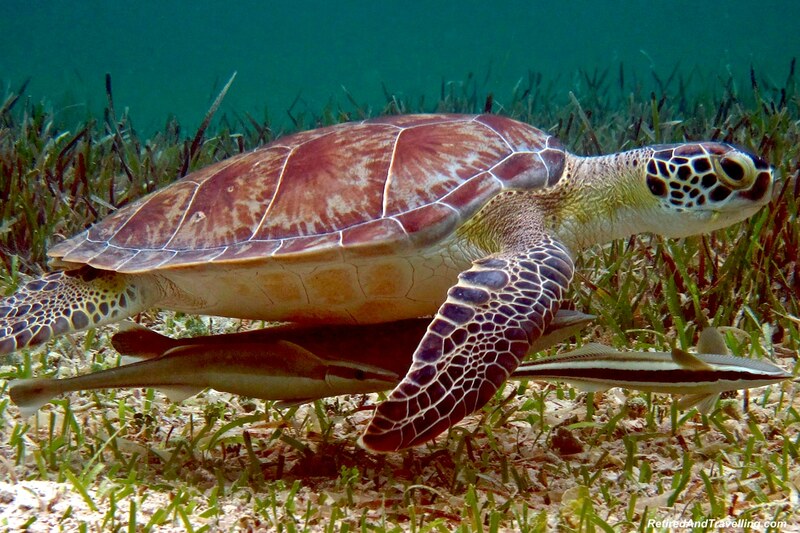 The Bahamas blog posts on snorkelling with turtles and exploring the Ocean Atlas underwater statues are favourites year over year. 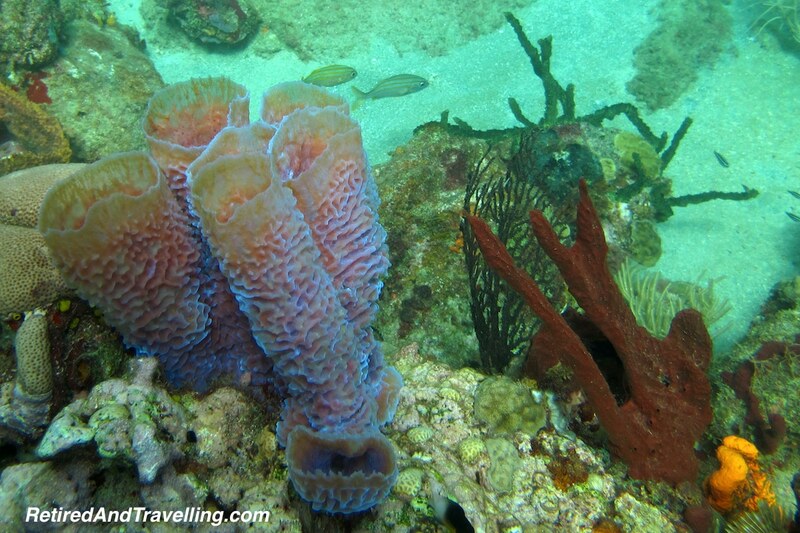 Scuba diving in St Lucia was another draw for readers. 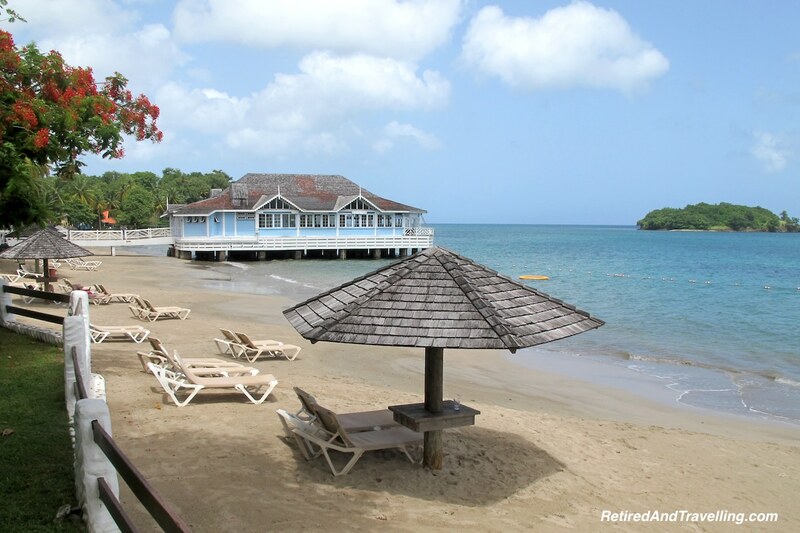 We have visited St Lucia several times. And every time we have enjoyed the great underwater world. 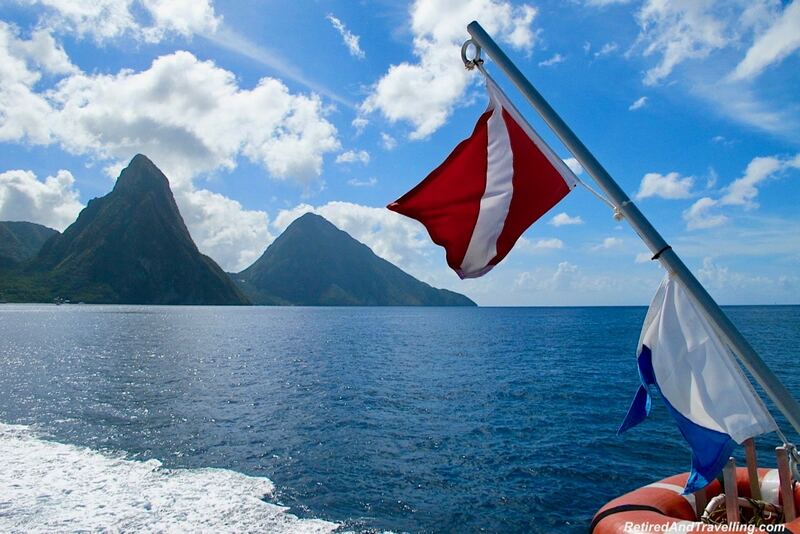 There is not better sight than to dive in under the shadow of the Pitons. 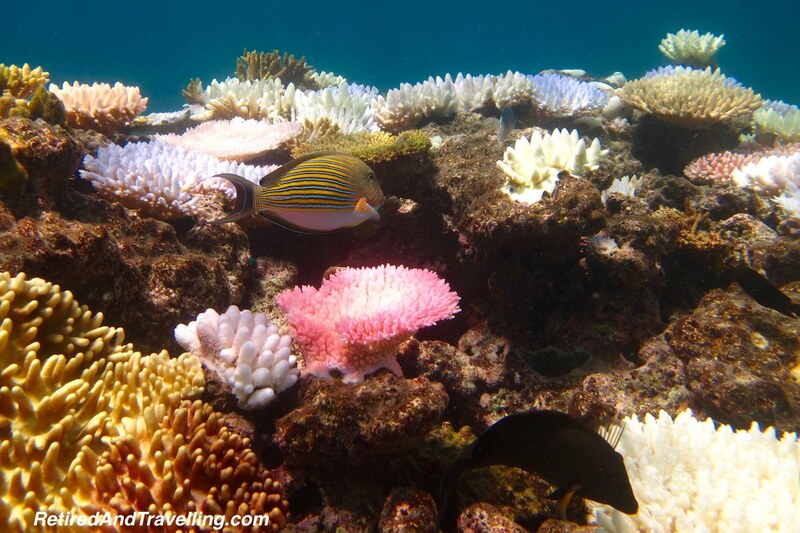 And our adventures snorkelling and scuba diving on the Great Barrier Reef in Australia maintains its spot in the list of favourite travel blogs for RetiredAndTravelling. 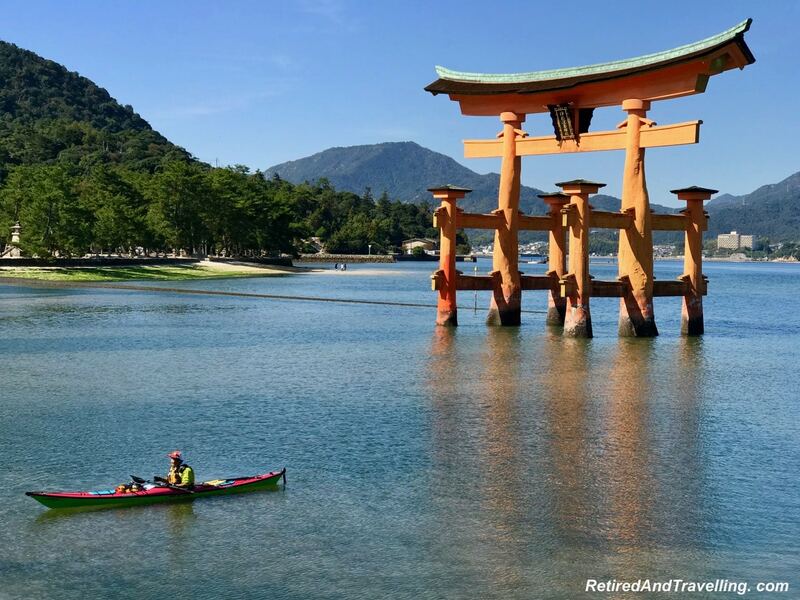 Hot weather escapes and fun water activities seem to be favourite travel blog posts for RetiredAndTravelling. They certainly represent some of the best times that we have. And those travels let us escape the cold Toronto winters. Every year we get interest in trips that many people have on their bucket lists. 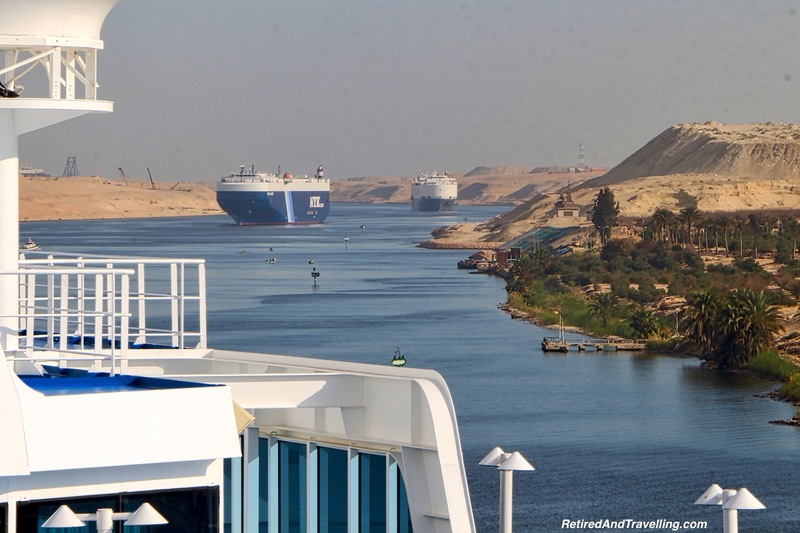 People want to cruise through the Suez Canal. This was just one of the many highlights when we did a 51 day cruise one year. 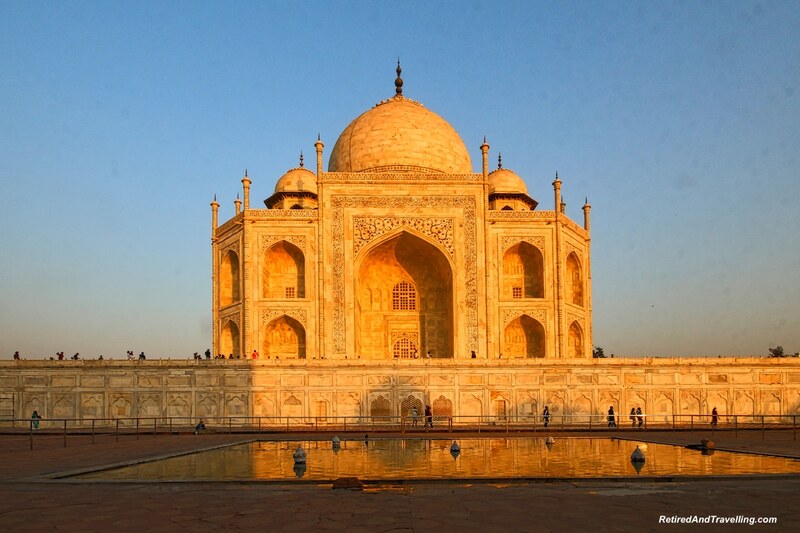 A visit to the Taj Mahal is on the travel wish list for many. 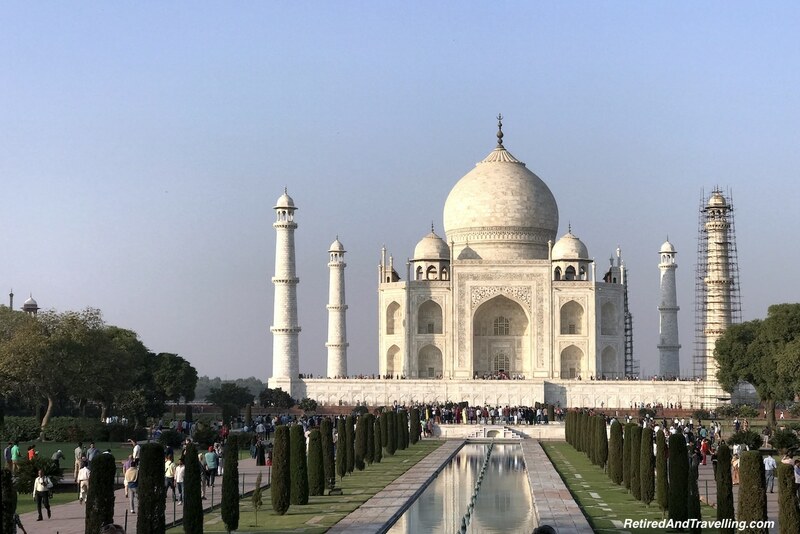 We were so excited when we got to see the Taj Mahal for both sunset and sunrise. 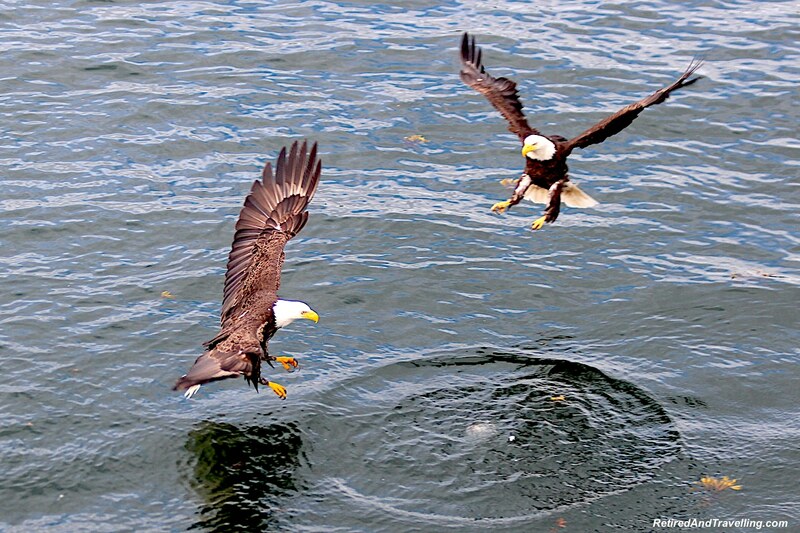 This year we also got a lot of interest in our cruise to Alaska. People were interested in the glaciers we saw on the tour, the wildlife that came close and the excursions we planned. 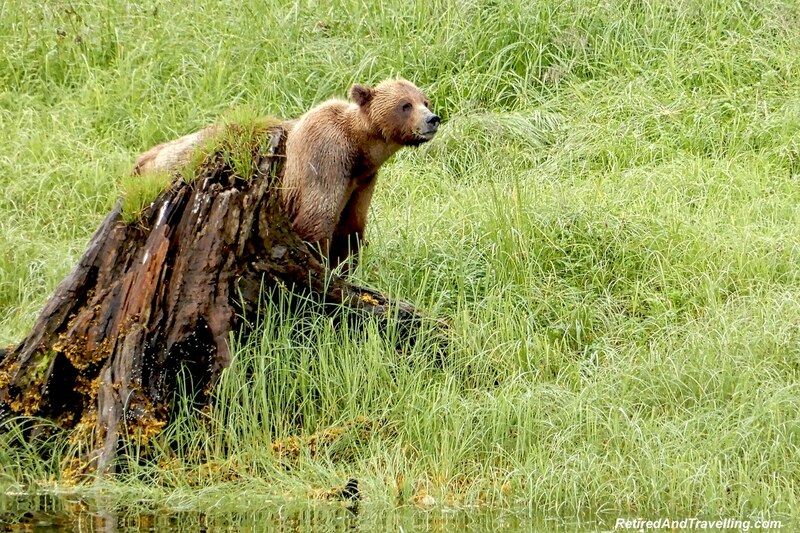 And many just wanted some planning tips for an Alaska trip. We have not yet contemplated an around the world cruise, but many people seem to be thinking about this. 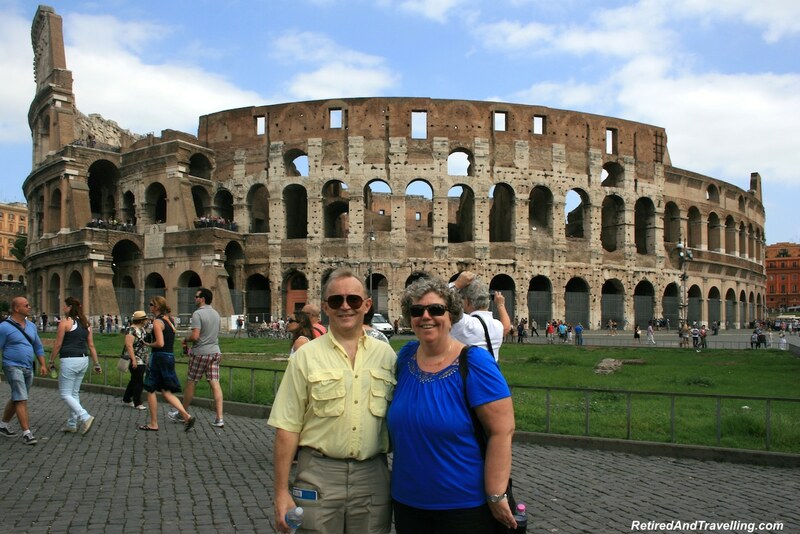 Our blog post on things to consider for an around the world cruise drew lots of readers. Many people are starting smaller and wanted to read about trans-Atlantic cruises. Every year we add more bucket list trips to our travel plans. 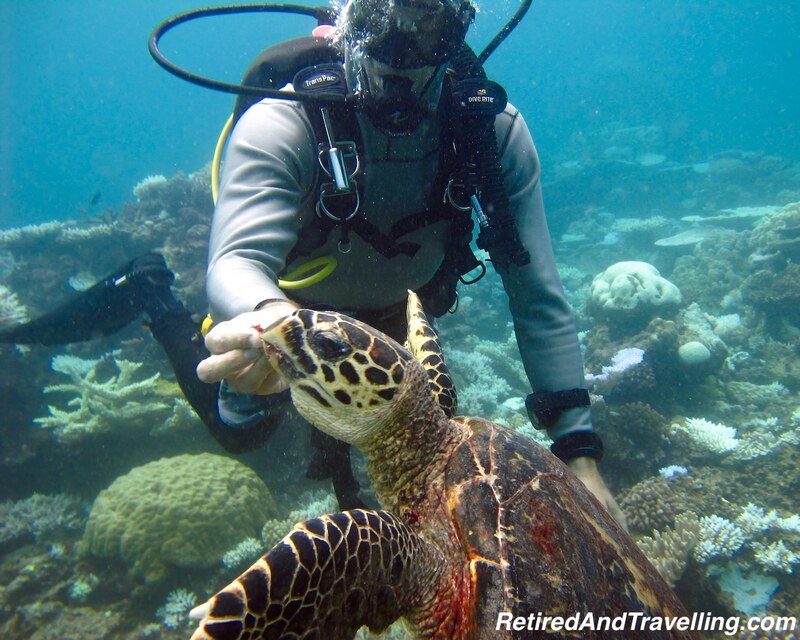 As we write about these experiences, we hope these may become favourite travel blog posts for RetiredAndTravelling over time. People were interested in our travel blog posts on food. 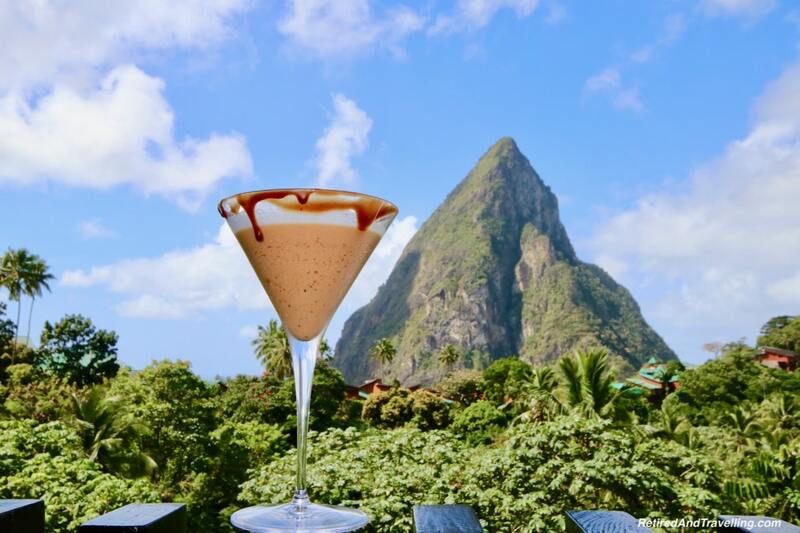 They really loved to hear about our experience at Hotel Chocolat in St. Lucia. But overwhelmingly, the favourite travel blog posts in 2018 were about our drinking experiences. 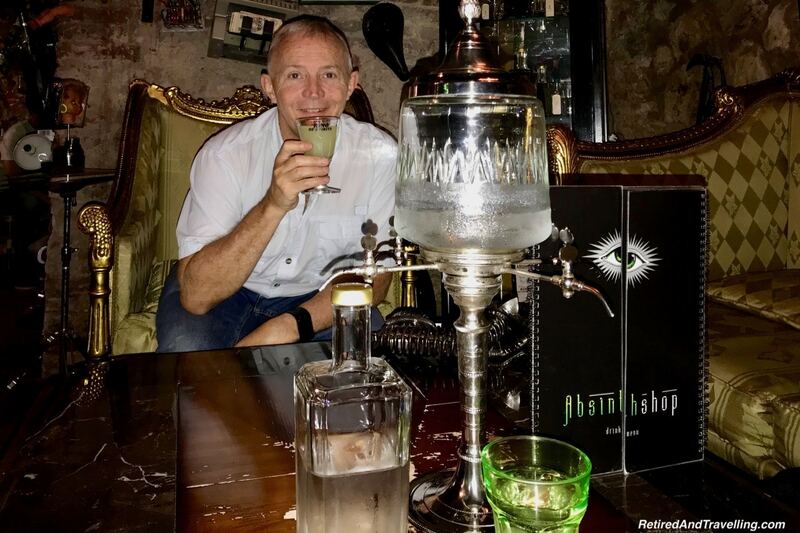 People were fascinated to hear about the funky bar we visited in Prague for Absinthe tasting. Wine tasting tours in the Douro Valley and wine pairings when cruising at sea drew in readers. 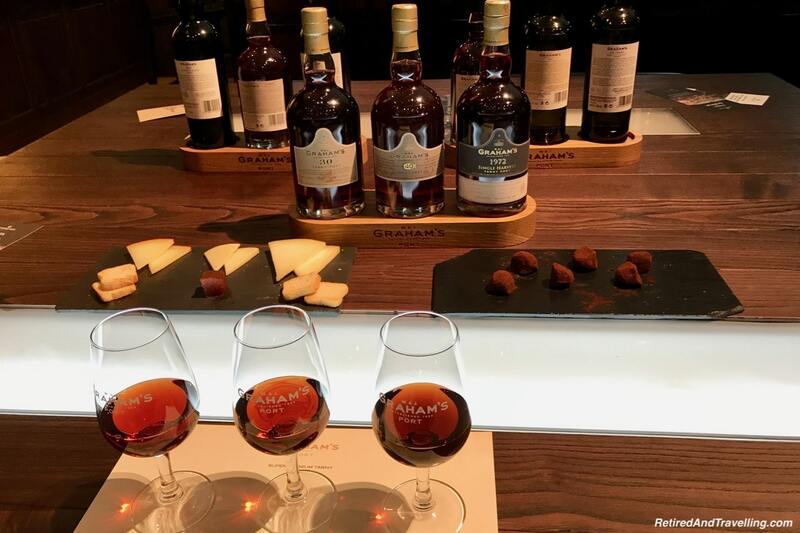 And our experience at Grahams in Porto provided both a port wine and a chocolate treat. Afternoon tea and champagne teased people in. 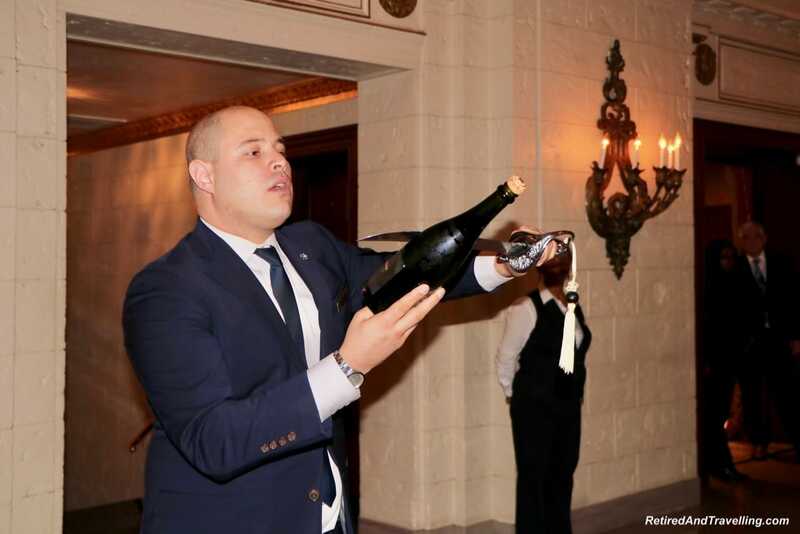 The champagne bottle sabering added a fascinating twist to our afternoon tea at the St Regis in Washington. 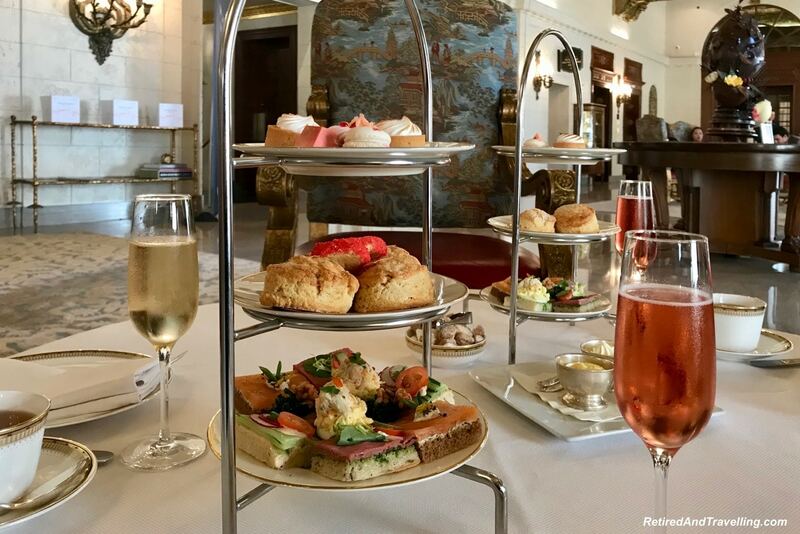 Explorations around Toronto let us sample the various Toronto afternoon tea spots drew in readers. 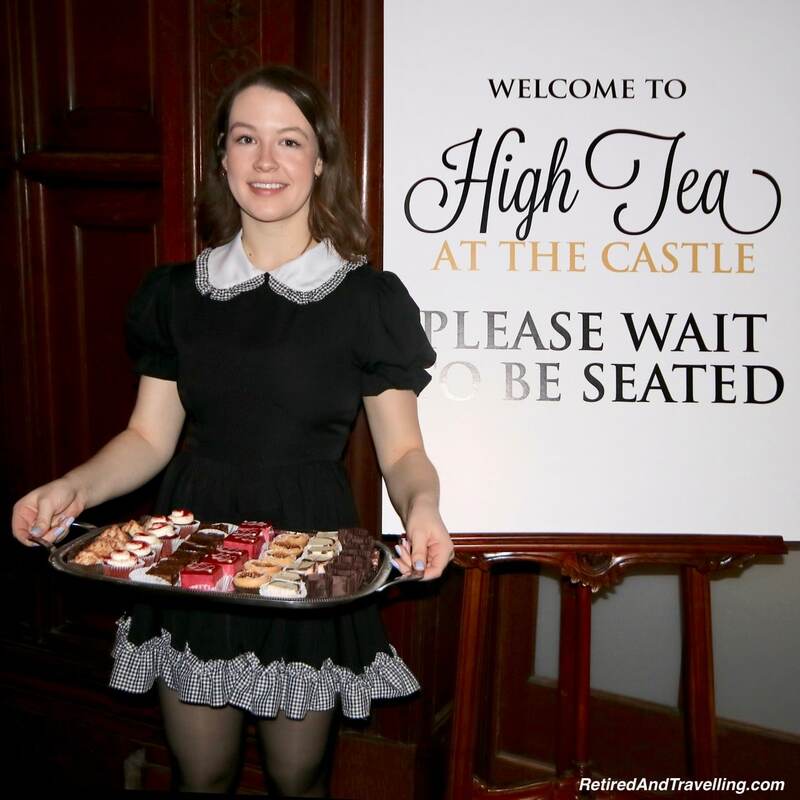 In 2018, we also added a fascinating afternoon tea experience at the castle in Toronto. We started 2019 with a great splurge birthday weekend in Montreal at the Ritz-Carlton Montreal. 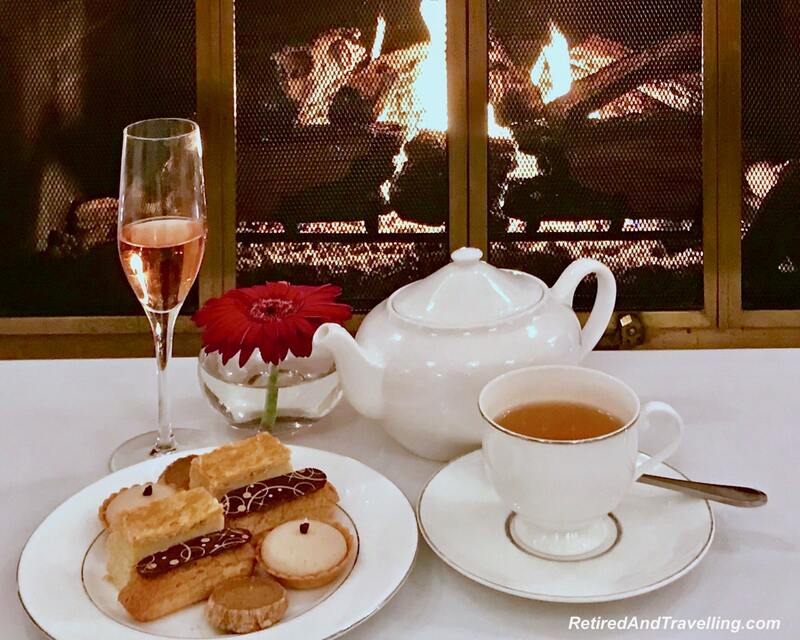 We certainly hope that our afternoon tea experience on that trip is another of your favourite travel blog posts. Eating and drinking around the world in 2018 was an enjoyable part of our travel. 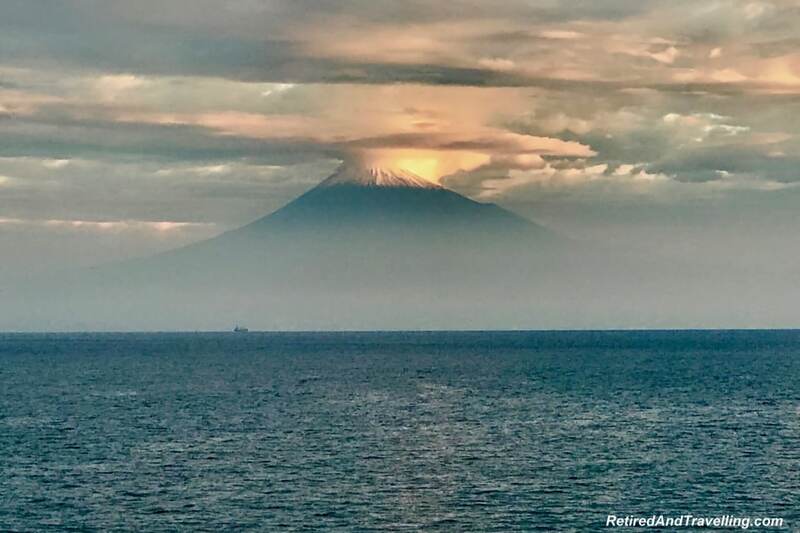 We were glad to see that our blogs posts chronicling these experiences were also some of your favourite travel blog posts for RetiredAndTravelling. No summary of our favourite travel blog posts can be complete without talking about the posts on luxury travel. 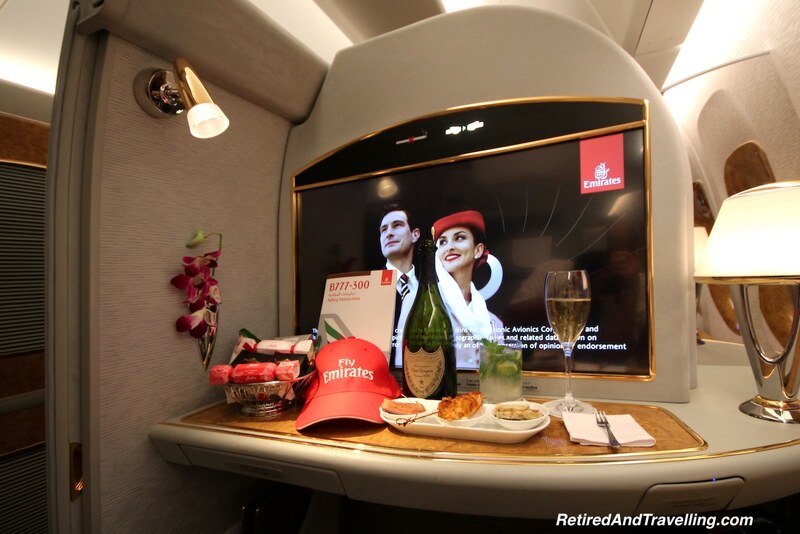 Our splurge to travel First Class on Emirates continues to draw readers. It was one of the best travel experiences we have ever had. And one many people want to try. 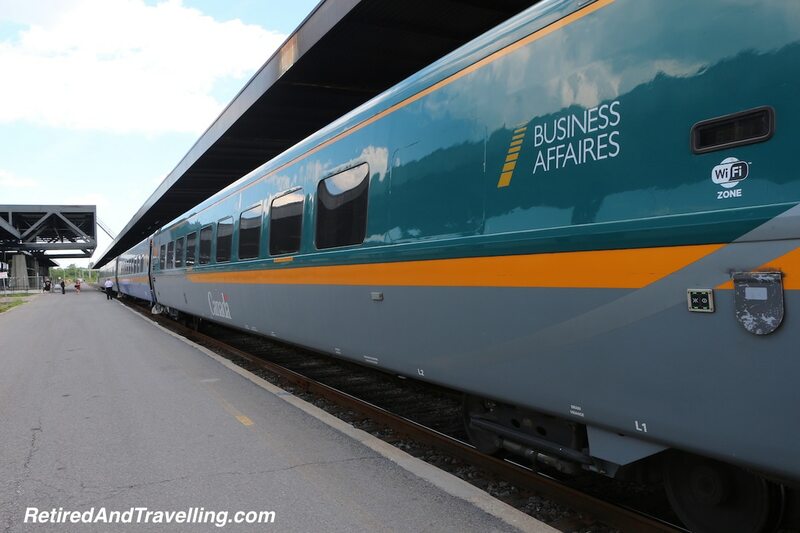 But people were also interested in travelling Business Class on Via Rail in Canada. We have used trains in Canada for long weekend escapes. Especially when the weather is bad. Or if we really do not need a car at our destination. We are happy that people are interested in train travel in Canada. It was good to see that our luxury travels were favourite travel blog posts in 2018. 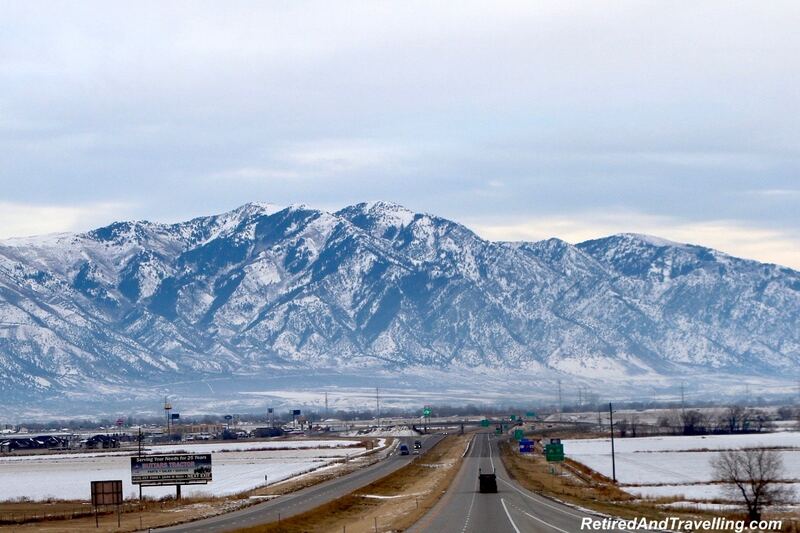 Most of our travel blog posts are about the places that we visit. But every now and then we try to pass on some travel tips. One of the most popular blog post this year was about our experience with a keto diet before and during one of our cruise trips. We still have not really mastered the art of packing light. But we are getting better. This year we talked about the things that we do not pack when we travel. The lessons we learned about being robbed in Madrid drew both a lot of readers and a lot of comments. We received many emails with tales much more scary than ours. It certainly taught us some lessons. We are novices at travelling on points. Many of you wanted to know how to get started on loyalty programs. But we learned a lot in 2018 about how to get better at collecting both points and status. An updated post will share a bit more with you soon. 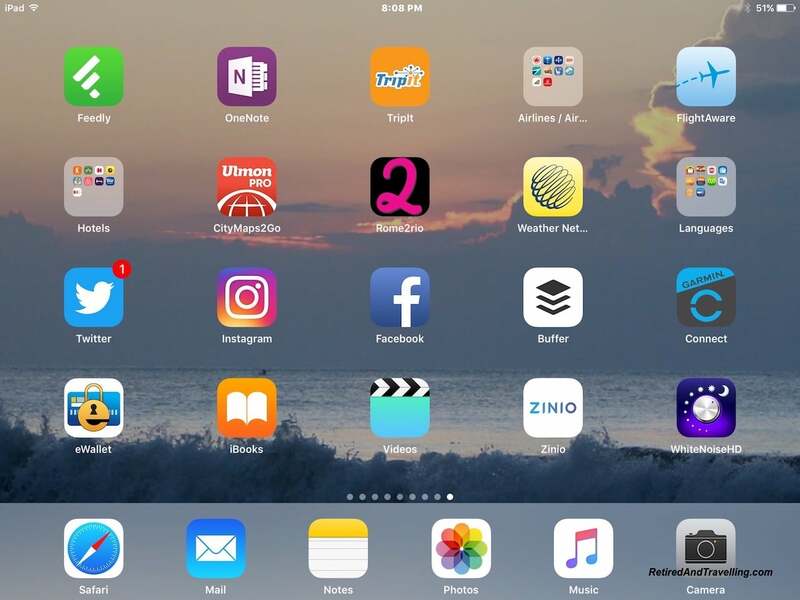 And people continue to look for new travel apps. We have our favourites that help us. Especially those that help us when we do not have great internet connectivity. It was good to see that our travel tips made the list of the top travel blog posts in 2018. We visited so many iconic sites as we travelled for almost 6 months in 2018. 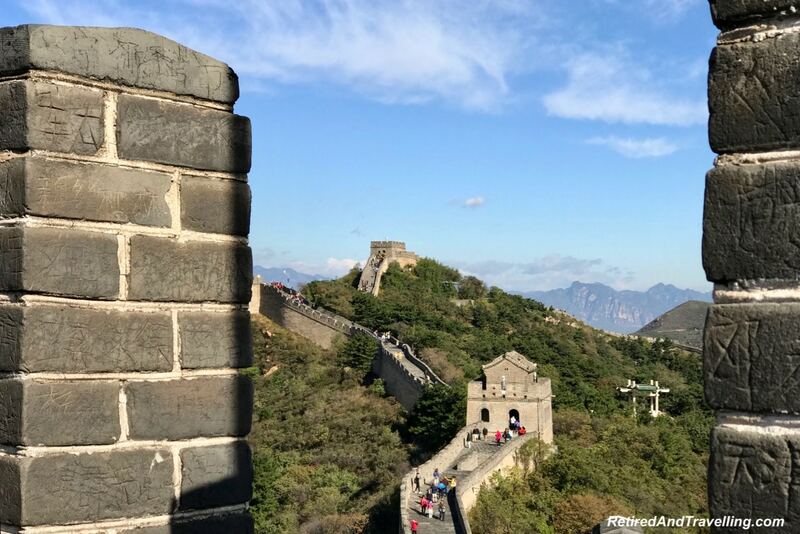 People kept telling us that things like walking on the Great Wall of China, watching the Panda Bears and seeing the Terra Cotta Warriors were on their bucket lists. Certainly they were some of the most amazing experiences we had in 2018. But the political situation between North America and China severely deteriorated through 2018. People remained interested in bucket list travel in China. But many people were resisting booking trips to China. We were really surprised to find that our blog traffic dropped off significantly for the time we published the blog posts about our 4 weeks in China. Maybe at some point in the future these blog posts will come up on searches. 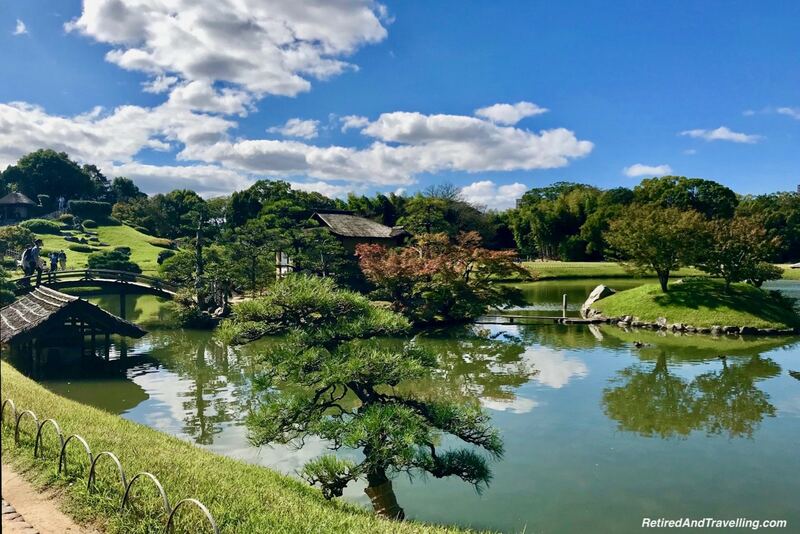 We still have a series of blog posts on Japan to publish. And are definitely hoping we get more traction on the amazing spots we visited in Japan. We would love to have these show up next year as some of your favourite travel blog posts. We would like to start by thanking you for visiting RetiredAndTravelling and for reading our travel blog posts. When we started the blog, we hoped that we had something to say that would be of interest to other travellers. 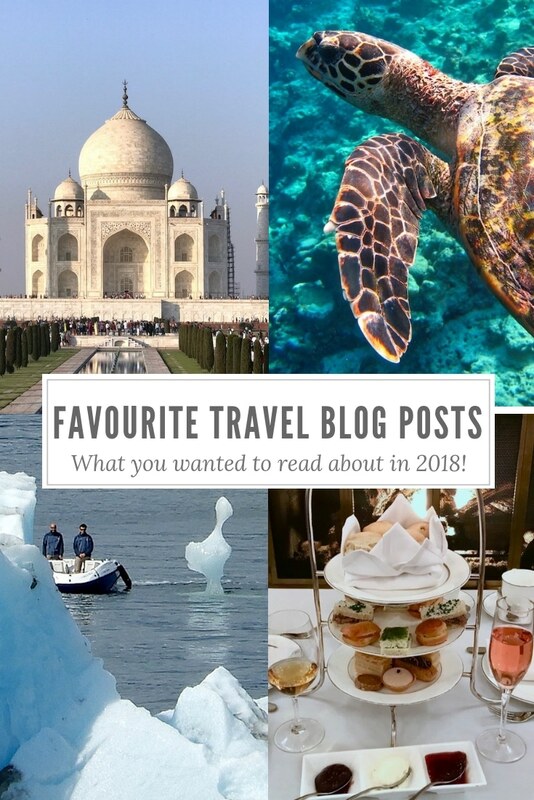 As we review your favourite travel blog posts in 2018, we are happy to find both new blog posts and some all time favourite show up on the list. We hope we can continue to entertain and educate you with new blog travel blog posts. RetiredAndTravelling will soon hit 500 blog posts. And that will be a time to reflect back on what we have learned blogging. Our travels have taken us around the world over the past 5 years. And we hope to take you with us for may more years as we are RetiredAndTravelling! Did we capture your favourite travel blogs posts for RetiredAndTravelling in 2018? Is there are area where you think we need to focus more? What an amazing year of travel! I feel like I got kick my booty in gear and start booking more trips haha. Europe looked so fun!! We are big road trippers too. 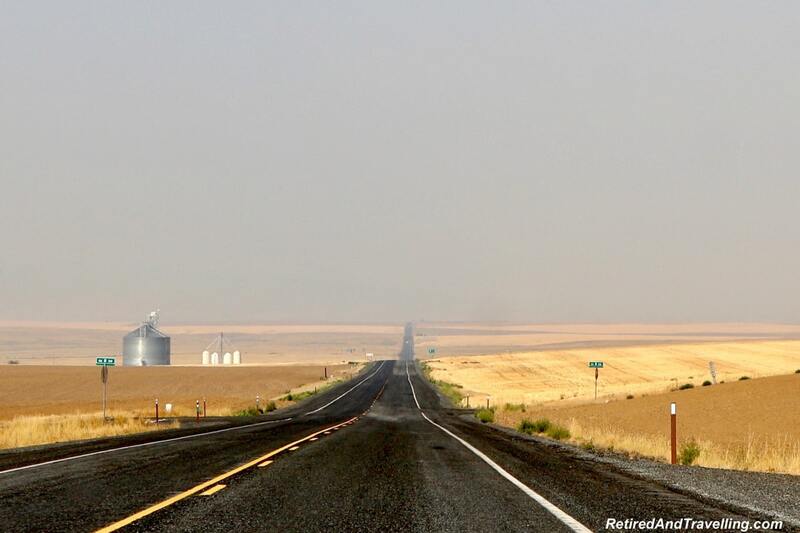 Our recent favorite was 60 day cross-country in the USA. Congratulations for your nominations on top travel blog lists for 2019! That’s a big achievement. What an incredible list of gorgeous destinations you have here. I wouldn’t know what to pick first. Going to China to visit the Great Wall is at the top of my list this year. Wow!! You had an amazing 2018. Visiting so many places is no easy feat. I hope that I get to travel full time at some point in my life. What a year! Chocolate, absinthe, and bears, oh my! A flight in first class is top on the list of things I want to do in my life, you make it looks so appealing! 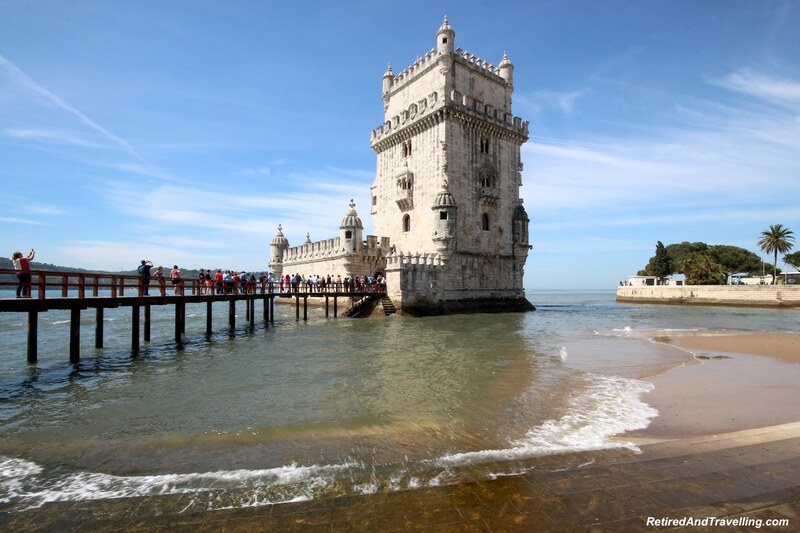 Portugal is definitely on our list of new destinations! China has some amazing sights to see, too bad people aren’t more interested in visiting the Middle Kingdom. Thanks for sharing, and here’s to an even better 2019! This is a nice way to put up a link roundup. It’s surely giving me some good ideas for my blog. You guys know how to stay busy. It’s hard to imagine creating that much content with the travel schedule you maintain. You are doing a great job balancing your activities with your writing. What a spectacular year of blogging and travelling for you. I doesn’t surprise me that Portugal was a big hit. I’m dying to experience the Azores. 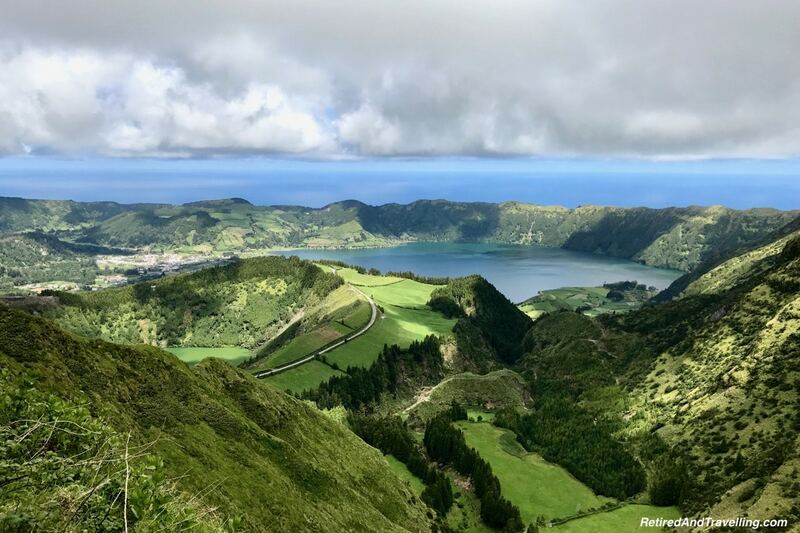 I could see myself walking along the coastline and enjoying the view of the 3 lakes in the caldera on Sao Miguel Island. I must admit, China is also low on my list (it’s still there but I’m not in a hurry). Much of if has to do with the air pollution there. 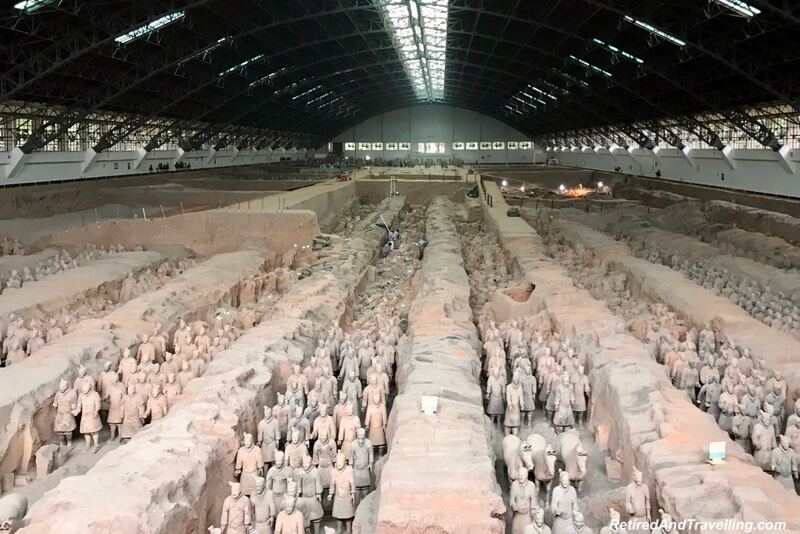 The Terra Cotta Warriors are coming to Melbourne soon, so I can check them out then. You have so many beautiful pictures, but my favourite one is at the St. Regis. That looks so good! I also love the scuba pictures. What an incredible year of travel and I thought I did a lot. 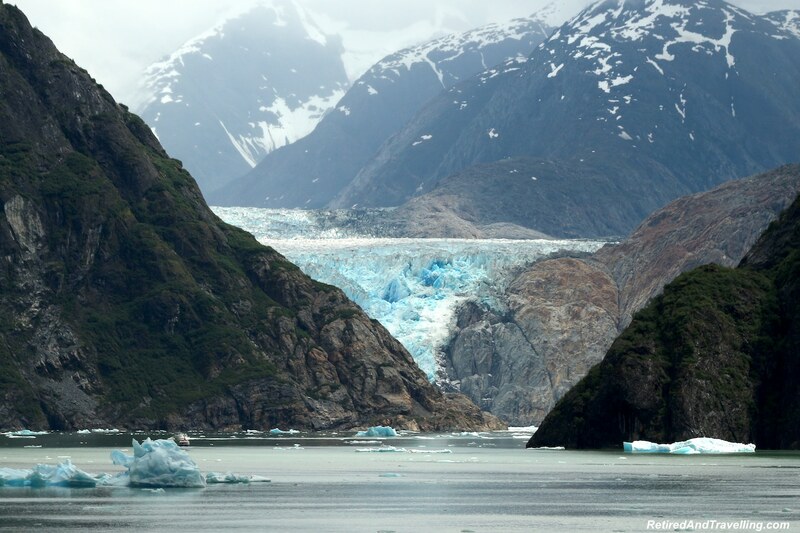 Your cruise to Alaska looks amazing and I am so jealous. I really need to get there soon. Can’t wait to see what you get up to this year. You certainly had a busy year travelling. I feel exhausted just reading everything that you managed to pack into the year 🙂 I hope that this year is just as wonderful for you and I look forward to reading your updates. ok these photos of all the places are seriously so pretty! WOW! Such an amazing year of blogging and travelling you had. You published 88 blog posts. It is just amazing. and Congratulations for your nominations on top travel blog lists for 2019. You deserve it. 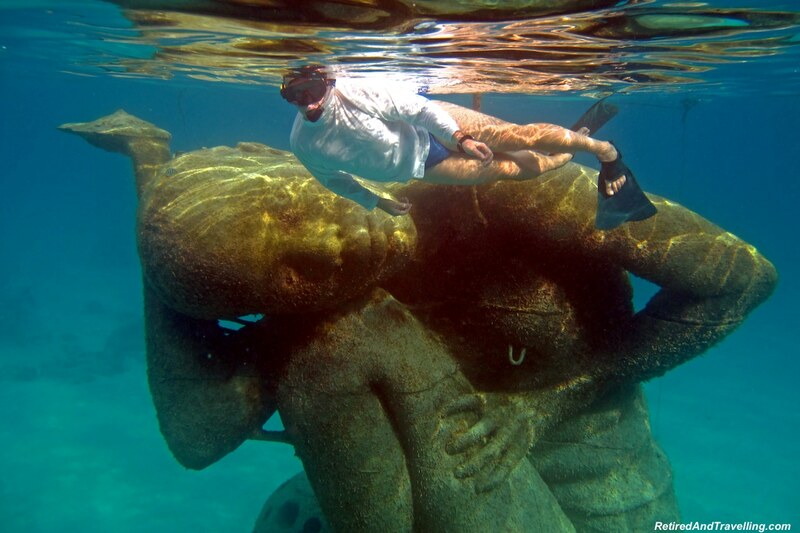 I didn’t realize you can snorkel the underwater statues in Granada, I thought you had to scuba. I’m definitely going to look into this! You certainly enjoyed some great trips in 2018! 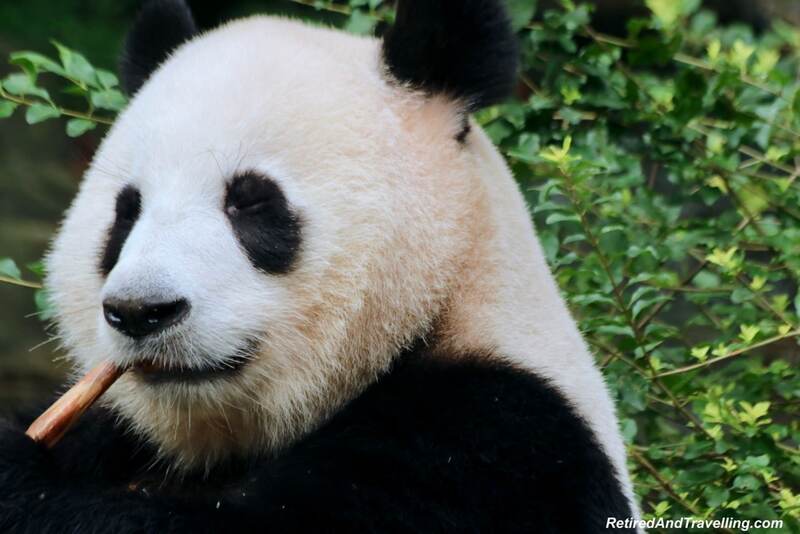 The Azores in Portugal look magnificent, as does India and those adorable panda bears in China. 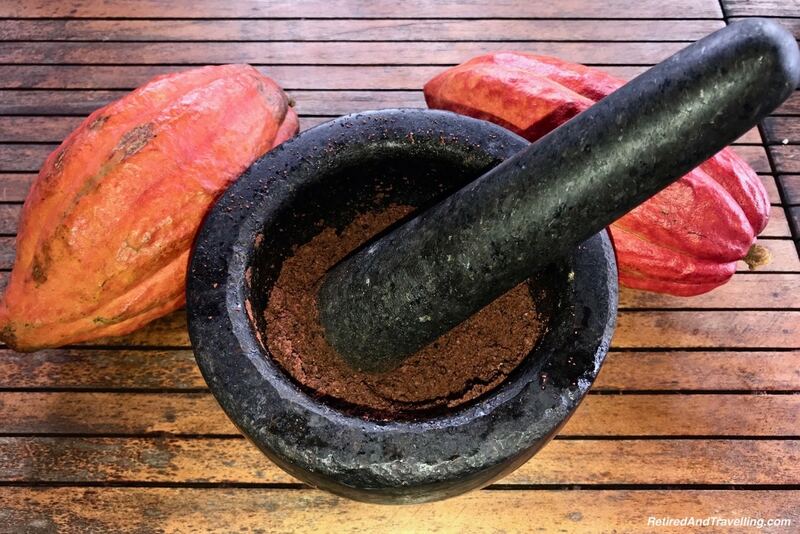 Your travels are inspiring, as are your food experiences – high tea, sabering champagne and chocolate – yummy!